Experience the Scriptures as a whole, as they originally and traditionally were. Examine these sacred truths from a Catholic perspective. Enhance your prayer life by using the Word of the Lord to give it new fervor and depth. Let The How-To Book of the Bible show you how the essential elements of modern and traditional biblical studies fit hand-in-glove with Catholic spirituality. "Beginner friendly" but never overly simplistic, this is the ideal choice whether you're a novice or already familiar with the Scriptures. 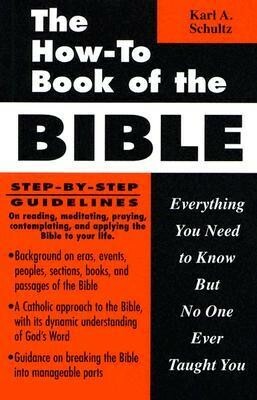 I'm the author/artist and I want to review The How-To Book of the Bible: Everything You Need to Know But No One Ever Taught You.